Bohemia is a bar and dance club in San Francisco, CA. 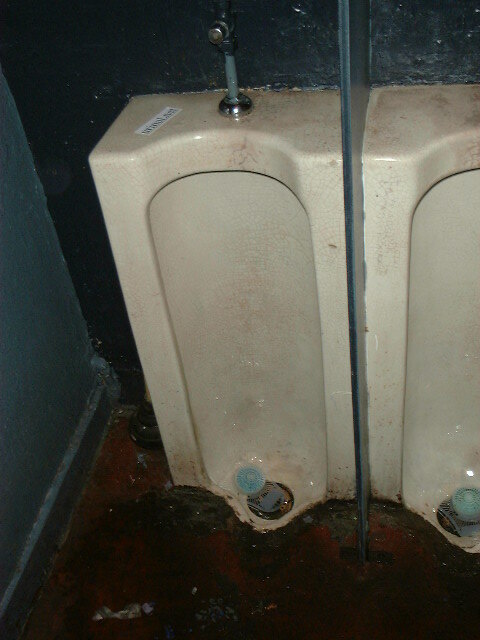 It is also home to the first urinal ever photographed for Urinal Dot Net. This picture was taken on 1/20/00, the first picture to be taken exclusively for this website. This picture was taken exactly a year later at the first Urinal Dot Net anniversary party. 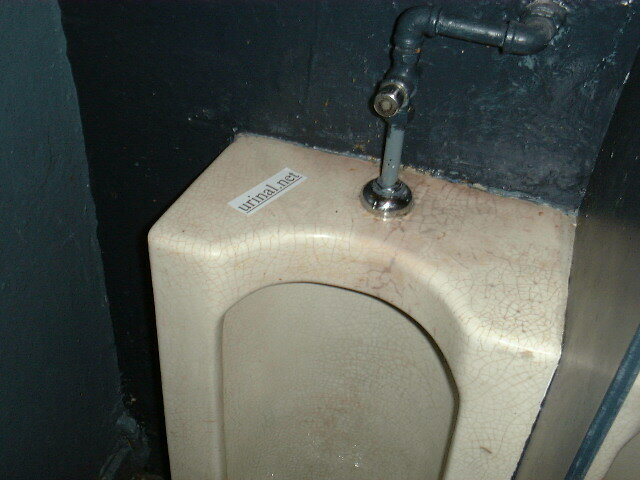 Here is the close-up of the top of the urinal emblazoned with the ever-so-hip Urinal Dot Net sticker. Sadly, the urinals pictured above no longer exist. 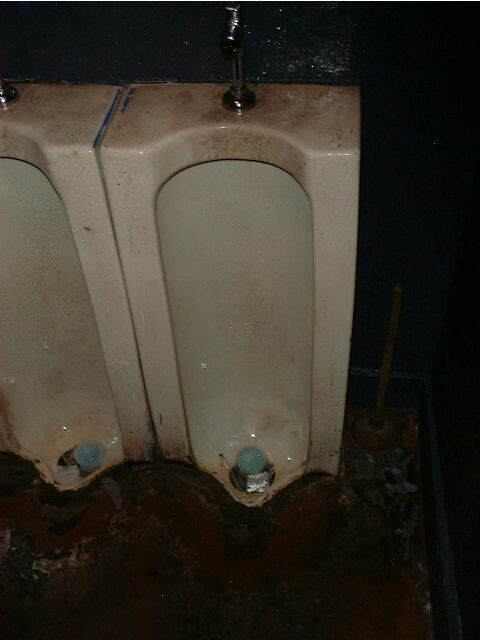 The bathrooms at Bohemia were remodeled in 2003 and the urinals were replaced with a trough.